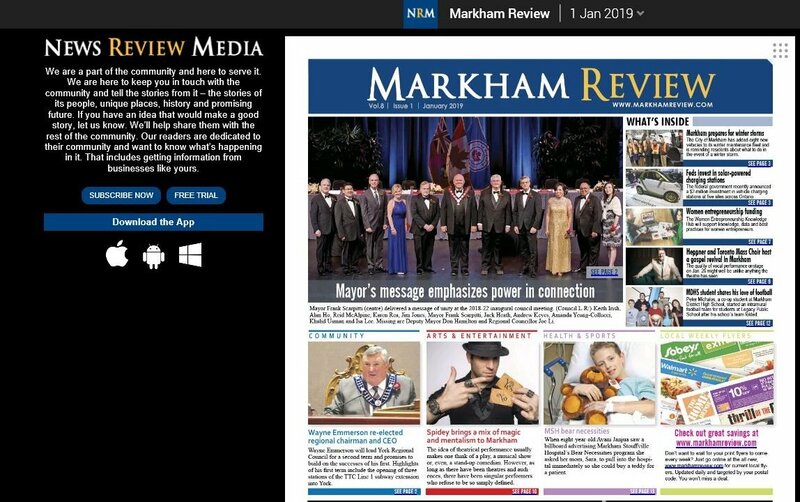 The Markham Review has been bringing you news and information about your community for years now. It’s been fun. 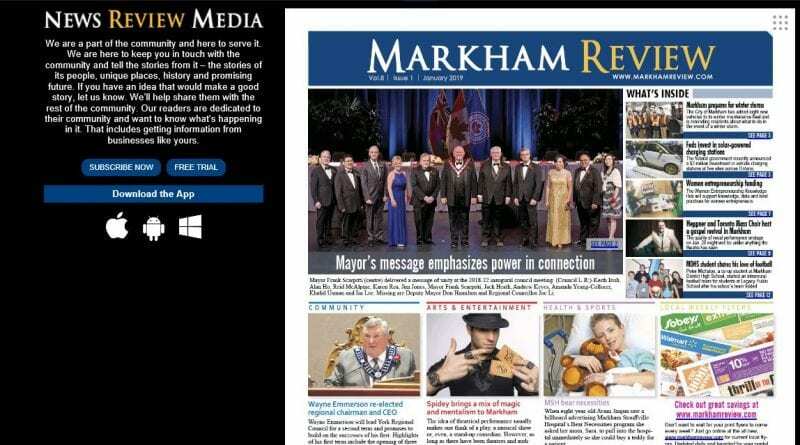 We update our website daily at markhamreview.com and each month we also publish thousands of copies of our print version and make them available at many local businesses and gathering places. It’s kind of a best-of Markham edition that you’ve told us you like reading. But they get picked up fast and in the rush of everyday life, you may have missed out on the local, relevant issues we cover. But you no longer have to miss an edition of the monthly paper. 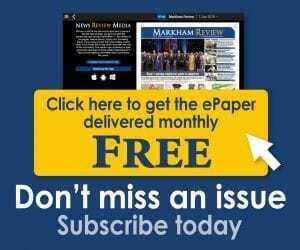 The Markham Review is now available in an e-paper format and can be delivered to your inbox monthly or automatically downloaded to your phone or tablet through the IOS or Android app built for you by our friends at PressReader. It is an exact repl ica of the print version but enhanced so you can listen to it as an audio-publication, comment on stories, share, translate, read offline, click through to links or bookmark special stories for future reference in your own library. The PressReader platform is a tried-and-true reading experience that national brands like the Globe and Mail, National Post and dozens of other top news publications have entrusted their brand to for their paid online subscriptions. Now you can use it to read the Review, but for free. No kidding. Subscribe for free in an easy, no-fuss, one-step process. Subscribe through the link on our website, social media or download the News Review Media app at your online Apple or Android store. Don’t miss an issue. We’d miss you.